Former President Barack Obama: People, let me perfectly clear. These protests. In Iran. Are contributing. To instability. In the Middle East. And more importantly. They are. Endangering. My Legacy. Which is. 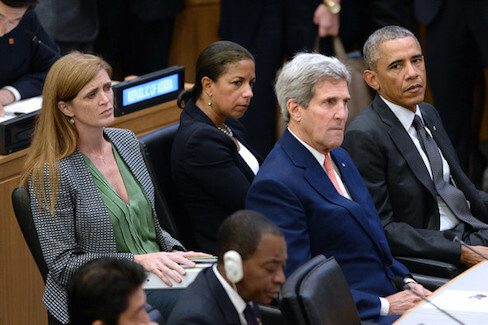 The Iran Nuclear Deal. Former Secretary of State Hillary Clinton: (Stumbles in dressed in hiking gear and clutching a bottle of Chardonnay): Let’s tell everyone to be quiet and not voice support for the protesters. I mean, it worked last time. Stockholm: Debates over the Boycott Israel movement raged across Europe today after millions of fans were left traumatized by the decision to ban all things Israeli in Saturday’s grand finale of Eurovision. 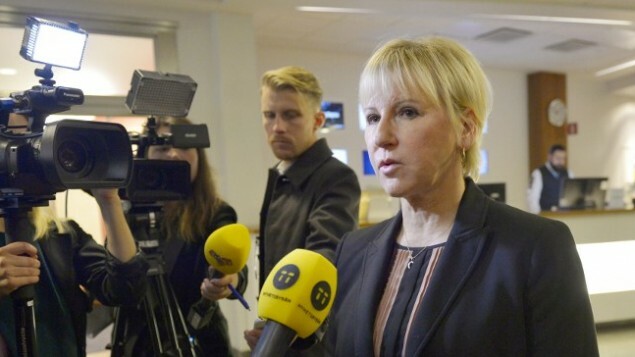 The chaos began when outspoken Swedish Foreign Minister, Margot Wallstrom, a strong supporter of the BDS movement aimed at economically crippling Israel, made a series of blunders that left hosts Sweden red-faced. Firstly, she moved the singing competition from the 16,000 all-seater Ericsson Globe arena in Stockholm – after discovering that the mother-in-law of the Ericsson CEO had once eaten a pomegranate on an Israeli kibbutz in 1954. “We were left with no choice. We really can’t be seen to support that level of aggressive Zionism.” Ms. Wallstrom stated defiantly, as the venue was changed to an old IKEA warehouse in the tiny northern village of Dooberguberfloozer. Coaches were then arranged to transport the 42 competing nations after the Israel-developed GPS app Waze had been blocked, sending the lost Azerbaijanis on a wild-goose chase around Denmark. Meanwhile, Israeli start-up GetTaxi, the world’s second largest Taxi app, was switched off, forcing the Spanish to hitchhike to a place they could not even say. 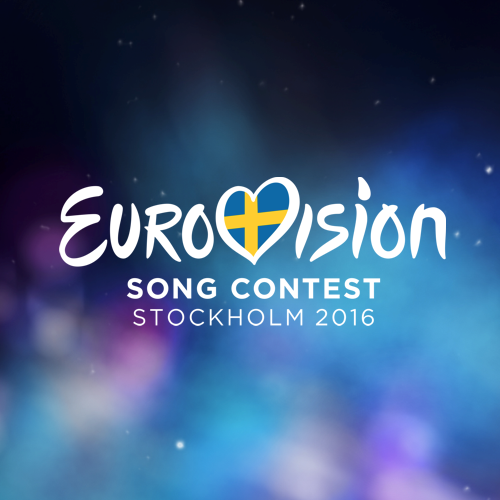 Eurovision is one of the few European cultural events that reinforces regional differences and continuously raises the prospect of a third World War. Amidst all the kitsch of cheesy dancing fairies and Viking heavy metal bands, this year’s show was once again mired in controversy. Greece was devastated after failing to make the final for the first time and immediately blamed German-imposed cuts. Neighboring Turkey was thrilled to have negotiated its inclusion in next year’s semi-finals, in exchange for building more Syrian refugee camps. Fights and beheadings broke out in this year’s semi-finals after a romantic ballad sung by ISIS boy band, the Caliphatties failed to melt judges’ hearts. Canada too was left ticked off by Australia’s inclusion in Eurovision for the second year running. Quebec-born diva Celine Dion, who won Eurovision for Switzerland in 1988, offered to sing but new Prime Minister/heart-throb, Justin ‘Donnie Osmond’ Trudeau vetoed her offer, sending a giant wave of relief across Canada. Not since the official breakup of Abba in 1982 has Sweden been so widely vilified for allowing such a cultural disaster. From the moment the show went live on air, buzzing social media forums began to grind to a halt. Facebook, created by renowned Zionist/Nice-Jewish-Boy Mark Zuckerberg, went offline for the first time ever, pushing a frantic 1.6 billion account-holders across the planet into actually talking to each other. But with Microsoft’s operating system, the Intel processor, and the technology behind What’s App, Messenger, Viber and voicemail all pioneered and developed in Israel, mobile phones and laptops around the world all fell eerily silent. When it came to broadcasting the actual results, Eurovision’s voting system was hit by the sudden ban on Israel-inspired satellites, forcing judging panels to dig out dusty walkie talkies not used since the Cold War. When the networks finally managed to broadcast the rest of the show, it appeared that bookies’ favorites Russia – which had threatened to turn off the gas and lights in Eastern Europe – had done predictably well. Also surprising was the Great Britain entry, sung by reality TV superstars Joe and Jake. The last time a British duo scored so well abroad, there was a pubic lice outbreak in London. Their upbeat song “You are not alone,” dedicated to former London Mayor Ken Livingstone, was nevertheless ridiculed in Germany. “Zay bloody will be soon if zay vote to leave ze EU next month, ha, ha!” Angela Merkel chuckled to reporters, as she faxed through the votes from Berlin. Nervously awaiting the Eurovision results aboard Air Force Trump, the man formerly known as Donald, warned: “This is what happens when you have no real defensible borders, political or cultural.” The Republican rebel immediately called for the US-Mexico fence to be built six meters higher and promised a tax on burritos…..
Londres- La BBC dio a conocer su más reciente serie detectivesca para la primavera que se titulará “Wallstrom & Zoabi: Causas profundas“, un fascinante drama protagonizado por Hanin Zoabi y Margot Wallstrom, representando a dos poco escrupulosas detectives que resuelven crímenes mientras tratan de encontrar un perfecto equilibrio entre su trabajo y su vida en un mundo dominado por hombres. Producida por Roger Waters, la serie tiene un toque único en el que no importa cuál es el delito o quienes son los sospechosos, ya que el constante resultado final es que Israel es el culpable. El Sr. Waters explicó sus primeras preocupaciones para esta serie. “Al principio tenía miedo de que el hecho de que Israel siempre fuera el malo de la serie pudiera ser excesivo incluso para los ejecutivos de la cadena, pero entonces me dije, !! Tío, esto es la BBC !!“. Por su parte, la BBC se siente segura de que ha tenido un golpe de suerte con la presencia de esta serie en su programación. “Sentimos que a pesar de la leve previsibilidad de su enfoque, tendrá un fuerte atractivo para su objetivo principal: la audiencia“. El portavoz de la BBC, Stewart P. señaló que “ahora que Al Jazeera America cesa sus emisiones, vemos ahí una oportunidad real para capturar a su audiencia“. En el episodio piloto, “!!! Spoiler !! !“, Hanin y Margot investigan las “razones de fondo” para una serie de asesinatos en París. Tras una hora de agotador trabajo detectivesco y de una persecución en coche, el dúo determina que el culpable “era Israel“. La química entre las estrellas sueca y palestina sin duda brillará a lo largo de la serie, con la impetuosa Zoabi llamando a los policías árabes israelíes “traidores“, y la más matizada Wallstrom encontrando la manera de conseguir ser declarada persona non grata tanto en Arabia Saudita como en Israel. Mientras tanto, ambas utilizarán el enfoque de “cerebro más que fuerza física“, aunque sin miedo de patear algún culo cuando sea necesario. En una escena del segundo episodio, un guardia de seguridad intenta escoltar a Hanin Zoabi para que salga de una habitación, siendo empujado violentamente por Hanin. Un episodio ya planificado que mostraba a la pareja investigando si el “asesinato policial en Suecia de un asaltante que con un arma asaltó violentamente una escuela violaba el derecho internacional“, fue cancelado debido a su falta de interés. Tel Aviv: There’s a hot new app on the streets, and the people of Tel Aviv cannot get enough of it. Dubbed the “Mar-Go”, this Application alerts you every time that Swedish Foreign Minister Margot Wallstrom makes a pronouncement that is inane, absurd, unfortunate, or just silly. The Daily Freier went out to get the word on the street.